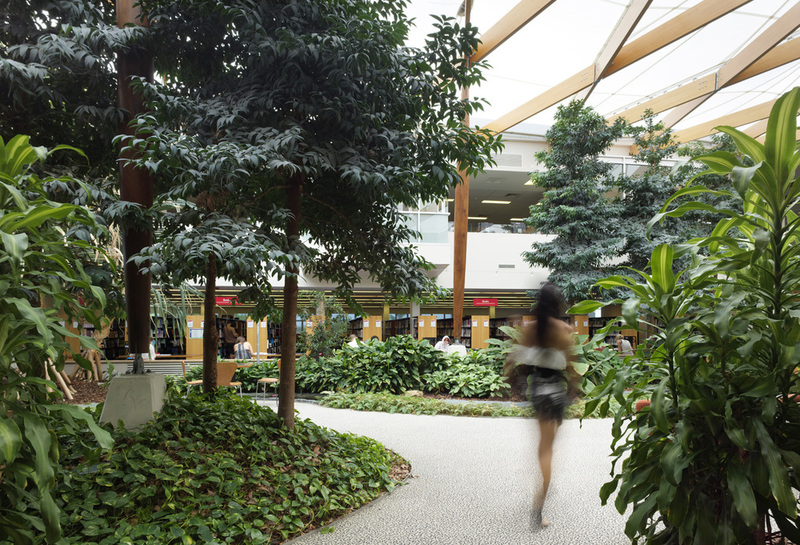 The Resource Centre combines all of the non-teaching functions within a united ‘shopfront’, including the Library, Student Centre, Student Union, Student Support Services and Health. The Centre is the signature building for the campus providing a focal point for the community to visit and for the campus to reach out into the wider community. The opportunity at the Ipswich Campus was to create a building that reinforced the community hub of an already existing campus. A place to interact with people and the printed and digital technologies, with support resources of counselling and health services. 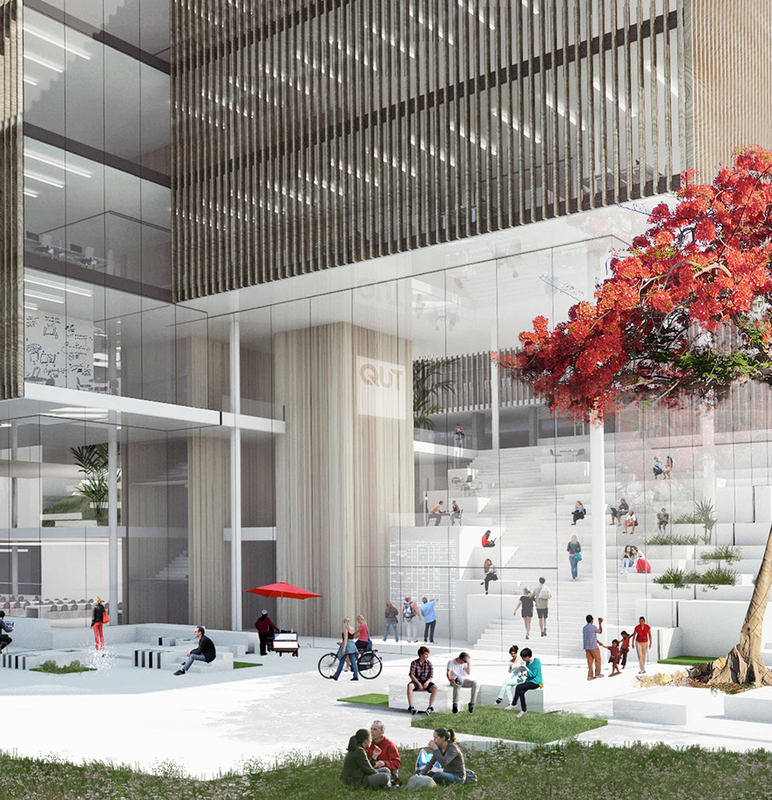 The facility is in fact three buildings interconnected with a two storey high landscaped space that symbolically stitches the variety of spaces together, but at the same time acting as a counterpoint to the technologically saturated study spaces. The establishment of a large internal garden reinforces the buildings focus and circulation, creates a legibility of all the various parts, and creates an air quality that is unequalled for a building with such intensive use of electronic equipment. One of the interesting features of the Resource Centre Building is the air conditioning system that has been designed so that all return air is dispersed and directed through the plants for pre-cleaning and removal of potential contaminants before re circulation. It is a building that supports and expands the student centred or independent learning process, recognising that not only study types (ie quiet or group) need to be varied, but the environment needs to reflect the diversity of human behaviour (ie variety of environments for different emotional needs).